This week, my entire week was made. I was recognized for hard work in the form of a spa gift certificate. This might not seem like the best thing ever, but for me, it is. The fact that I was recognized made me feel nice, and the spa gift card is going to be great. But I work hard because I feel that it's the right way to work, and there isn't really any other option. The fact that someone else wanted to show me they care was a bonus. Like that one action made my entire day, we can all do things for others to make theirs. I encourage you to find someone and make their day, every day of your life. Whether it's picking them up a coffee if they're stressed, taking on some of their work, or just giving them a call to tell them you're thinking about them, just do it. 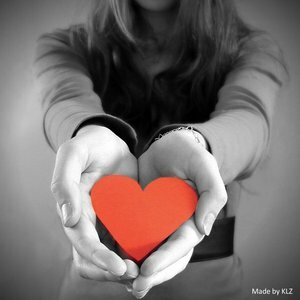 The best part of giving to others is that it doesn't require anything except for love in your heart. You can choose to spend money, you can choose to spend time; whatever you choose, others will be grateful for it if it comes from good means. Now, doing good towards others doesn't deserve recognition, and you shouldn't do it with that in mind. It definitely feels good to help other people but you don't help them to "feel" anything. You do it because it's the right thing. When I get phone calls from friends telling me they're thinking of me... most don't know this, but I cry a little cry when we get off the phone. Sue me because I'm emotional and missing the comfort of my friends! But those short and infrequent calls make my day because I never expect them and always enjoy them. If someone writes on my wall about how they enjoy reading my blog or that they think I'm a good writer? Totally makes my day! And it's nothing monetary, nothing extravagant at all. Just simple words that make my heart full of joy. Thank you to those who comment on my blog or refer your friends, there is nothing that means more to me than writing this blog and having others relate to it. There's no lacking in this world when it comes to helping or giving to another. Sometimes a conversation can soothe the soul. Also, I think a lot of us go searching for people like they look like they're in need. That homeless guy, the person who seems angry, upset or anxious. But I've learned lately that sometimes the people who are most in need of comfort, joy or help are those who seemingly are doing spectacular, or they're doing well for themselves. And I know it's easy to write off those people who seem angry, bitter or flat out mean, but the fact of the matter is those are the people we need to love the most. We need to smile a big smile, ask them how they're doing, be kind to them even if they're not so kind to us. God witnesses these things and one day you might just find you made the biggest difference in their life by being a ray of sunshine (though it might take a while for them to admit it). I'm not by any means saying sustain a relationship that brings you down or hurts you. But you can love the hurt out of someone else and keep your own self-respect. When you live your life with another person's well-being on your mind, it makes all of your own problems, fears and insecurities less traumatic and daunting and easier to overcome. They just won't seem as devastating when you're busy giving to someone else.